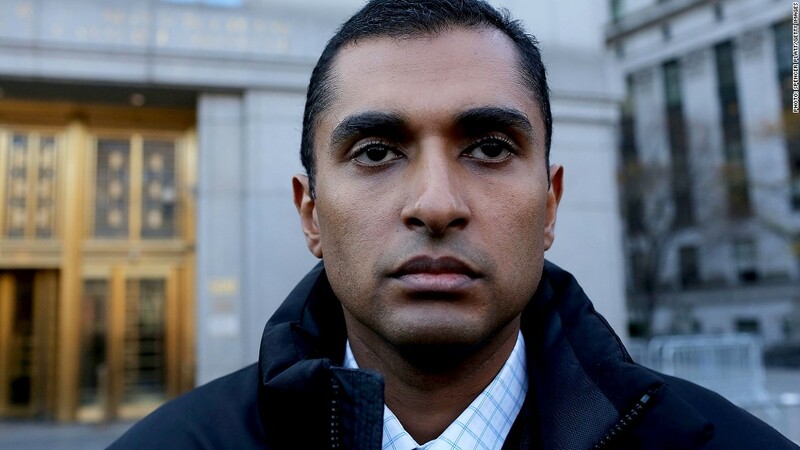 Federal prosecutors could use the threat of a long sentence to pressure Mathew Martoma, who faces insider trading charges, to try to reel in his former boss, Steve Cohen of SAC Capital. If convicted of insider trading, hedge fund manager Martoma could face up to 45 years in federal prison, according to the U.S. Attorney's Office for the Southern District of New York. He could get up to five years for one count of conspiracy to commit securities fraud, and an additional 20 years for each of the two counts of securities fraud. Realistically, he probably won't get 45 years even if convicted, according to former federal prosecutor Richard Scheff, a lawyer with the firm Montgomery McCracken. Scheff said the sentence would be more like 10 to 15 years. But even that would weigh heavily on a married 38-year-old man with three children. The possibility of a long sentence could give the feds ammunition in convincing Martoma to provide damaging testimony about Cohen, if such evidence exists. "It is very common to build a prosecution case, including insider trading cases, by following the evidence, witness by witness, wherever it leads, and that trail can frequently be from employee to principal," said William M. Sullivan Jr., a former federal prosecutor and a partner at the firm Pillsbury Law. Cohen has not been charged, but the feds have been circling his firm for years, and charged some of his colleagues with insider trading. Some of them pleaded guilty, while others became cooperating witnesses. "This notion of squeezing Martoma to get to Cohen is standard operating procedure in this type of case," said Scheff. "It always has been more common in Mafia and drug dealing type of cases, but it is now standard operating procedure in white collar cases. Most people don't want to take the risk and face a significant jail sentence." But Martoma's lawyer, Charles Stillman of the firm Stillman, Friedman & Shechtman, said that his client is "not cooperating." A spokeswoman for SAC Capital, where Martoma worked until his termination in 2009, declined to comment. Martoma was charged on Nov. 20 with selling and shorting shares of the drug companies Elan (ELN) and Pfizer's (PFE) Wyeth from 2006 to 2008, based on allegedly inside information. The scheme benefited Martoma's hedge fund by $276 million, according to court documents. Thomas Gorman, a former senior counsel with the Securities and Exchange enforcement division, said the lack of wire taps and the lack of clarity regarding the allegedly inside information has no doubt emboldened Martoma's defense lawyers. "I think there are some significant questions about this case, more so than some of the others," said Gorman, a lawyer with the firm Dorsey & Whitney. "It's not real clear what the information is. They have a cooperating witness, but the information content seems to be fuzzy." Martoma posted bond of $5 million on Monday, secured by $2 million in cash or property. He was required to surrender his passport and is not permitted to travel beyond the limits of New York City, Long Island, N.Y., New Jersey, Florida or Massachusetts.